 Enhanced Wellness Studio is committed to constantly improve what we do and how we do it – so we can serve you better. We are committed to be the best health and wellness clinic. Listening to your feedback is how we become that. But we don’t just “listen” – we also respond and act. I recently sent out a survey to everyone on our email list. (if you are not on the list, but want to be, email us HERE to be added.) Thank you to everyone for taking the time complete the survey. Your input is crucial to our growth. If you have a few moments, please also rate /review us on Google – and connect with us on Facebook and Twitter. 85% of our patients rated 9 or higher out of 10. This is a very positive and encouraging score. Please do spread the word to friends and colleagues. The busier we are, the more freedom we will have to grow our services for every one of you. 85% of our patients are “Very Satisfied” – 95% more than “Somewhat Satisfied”. That is great. I do realize that we won’t be able to live up to everyone’s expectations – but I promise we will try. So please don’t hesitate to tell us if you expect something more or different from us than what we are doing. 90% chose “professional”. Amazing – we strive to be nothing less – I am happy we are hitting the mark here. 90% chose “effective”. All injuries and conditions progress differently, so for some it can be difficult to feel the effectiveness of treatments in the short term. This is higher than expected, but we do still have room for improvement. 70% chose “high quality”. Quality is crucial for us. We do have some work to do here, so we can improve the quality of our services for the last 30%. 50% chose “good value for money”. Half our patients feel they are getting good value for their money. Here we certainly must improve. We must stand out better compared to our competitors in the value we provide for the fees we charge. I certainly believe we are worth the fees, but we need to be better at proving that to our patients, by finding out what beyond quality and effectivity we can change. 45% chose “modern”. Some of our services here are traditional and bound to certain rules and standard of practice. However, we need to improve on how we demonstrate that our unique concept is modern beyond our competitors. In our blogs and newsletters, we will try to tell stories of how we do things differently and why we believe this is the future of health care. 10% chose “overpriced”. This we were expecting. I agree that our prices are slightly above average if just looking at the fees of other wellness clinics. I believe our services are worth it, but I am not surprised some of our patients feel we are more expensive. Rather than lowering our fees, I believe in improving our services to earn those fees. For example; physiotherapy with us is full time one-one-one with the physiotherapist. Other clinics may let a physiotherapist assistant treat the patient, do rehab in groups, and will attend to another patient during your session while you are receiving acupuncture or electrostimulation. With us, YOU are our only focus during your treatment session. 100% of our patients say “Very Well” or above – with 65% saying “Extremely Well”. Excellent! This is difficult to improve, but we will keep working hard to keep this pattern. 100% rated the quality “High Quality” or above – 60% “Very High Quality”. This is a different picture than the answer in question 3 but; Thank you! This is heart warming and hard to improve, but again; we will certainly try. 75% rates this “Above Average” or above – 45% say “Excellent”. No rating is below “Average”. This ties into the previous questions and certainly shows us that we need to improve the value our patients experience for the fees they pay. We will rather grow better at what we do than discount our services to the level of clinics with lower quality. 89% said “Very Thorough” or above – 47% “Extremely Thorough”. No ratings below “Somewhat Thorough”. Great input. Although this seems a high score, we certainly want to improve this. Our hallmark is to be more thorough than other clinics and thereby ensure our patients have full confidence in the care we provide. I believe we already are, but perhaps we are not good enough at demonstrating it. It was expected that massage, chiropractic and physiotherapy would rank highest. These 3 services are the core services in most wellness clinics and shows that people expect this from us as well. Our Registered Dietitian was ranked 4th. There is a need for improved focus on nutrition in our society and she have the tools to make that happen for our patients. We need to improve on how we explain how yoga rehab is an exceptional and powerful tool in prevention and treatment of injuries. Personal Counselling and Life Coaching ranking this low, and that tells us that we have not been successful in explaining how important mental/emotional health is, and how it directly affects recovery from most physical injuries and conditions. We must become better at leveling out our holistic approach services, so our concept of a fully balanced integration comes to life. 85% answered “Very Likely” or above – 80% “Extremely Likely”. No answers below “Somewhat Likely”. I am happy our patients are returning to us for help. That shows us, we are making a difference and people appreciate what we do. Hopefully, when patients do not return, it is because they no longer need therapy. For prevention or if new injuries arise, we certainly hope to see them again. Thank you to those who took some time to comment. If you don’t see your comment(s) stated in your own words, please know it’s been condensed and combined with other similar comments. If you feel your comment has not been answered, please let me know, in a comment to this blog and I’ll reply as soon as possible. “I look forward to more yoga classes” – We certainly will keep offering yoga as rehabilitation, but it is a bit uncertain if, how, or when yoga classes/workshops will be returning. We won’t compete with yoga studios, as we use yoga as a clinical tool for rehab and prevention – and not for “yoga classes” in the general sense. This has not been done in a clinical setting before, so we are trying to figure out exactly how to do this best. I will keep you updated through our newsletters as things develop. “Excellent services in a convenient location. I can’t think of any other improvements that I would recommend. All is good”.” – that is great to hear. We are still improving as we grow and learn, so if you think of anything, please let us know. We do want it to improve from Good to Excellent as we grow and improve. “Price for chiropractor adjustment is more” – Good input, and yes, it is! But only if you compare to chiropractors spending 10-15 minutes per visit with patients. I spend about 25 minutes per subsequent visit with the patients, and take a thorough history, provide modalities (vibration, ultrasound, shockwave, cupping, etc. ), adjustments, myofascial release, and go over rehabilitation exercises. So, yes, the fee for a chiropractic visit is a bit higher per visit, but so are the results. “Love your space. I like the atmosphere of the building – the plants and the natural light” – Thank you!! We love our location and the building as well. It felt like home for us right away.” – Thank you! We put a lot of thought into creating a space that fit our visions and concept. It is always great when we hear that our patients feel good in the space as well. “It would be nice if you had a bathroom in the clinic” – I totally agree. However, realistically this will not happen. During renovations we tried to find solutions to get sink installed, but it was not technically possible. However, there are restrooms conveniently located on the same floor only a few steps from our unit. “Continue with friendly helpful information. And services. Very happy and willing to share with friends and colleagues” – Thank you, and for sure we will continue doing what we are already doing well – and hopefully even more. We are happy that you willing to refer your friends and colleagues to us. We do appreciate your referrals, as that is how we grow. “All the practitioners are very polite, professional, friendly, and laid-back” – That’s wonderful to hear. We pick only the very best practitioners – not just for their skills, but for their personalities also. Our relaxed atmosphere in the clinic is as important to us as it is to our patients. “Thank you for bringing Angela with you – it wouldn’t be the same without Kenneth and Angela working together” – I agree. Angela and I have worked together for almost 4 years now and complement each other well in our treatment approach. I hope, you will see the same value in the rest of the team as we grow closer throughout the entire team. “The practitioners seem to get along well and have fun together. It shows patients you are not just looking after us, but also each other” – I am happy this shines through and I totally agree. I do believe the practitioners here care for each other. The better we function as a team, the stronger we will be at helping patients. “The online booking system is easy to use and very convenient” – That’s wonderful. About 75% of our patients book themselves in online. The system is loved by all our practitioners, but it’s even more important our patients love it too. “More availability for Angela / massage therapy?” – Yes, Angela is very busy and popular. Apart from working with us, Angela also works at another clinic and she has a family with two magnificent kids. We will be looking into adding more massage therapy hours, but exactly how is not determined yet. I will keep you updated as we find solutions. “Kenneth’s girlfriend should know the faces and names of the patients and be less on her laptop and cellphone when at the clinic. She makes you seem rushed sometimes.” – I see how this can come across compared to traditional clinics where practitioners, staff and patients are kept more apart in the clinic layout as opposed to in our café-style setup where everyone is encouraged to “hang out” together. My girlfriend is not a practitioner, but she is part of the clinic team. She does sometimes “just” wait for me as we often car-pool, but other times she is working on admin tasks, promotion, book-keeping, ordering – or helping at the front desk. I don’t expect her to know faces and names of our patients as her patient interactions are limited. I believe, it’s a strength that we do draw a thinner line between professional and private lives in our clinic. Yes; you may experience her “rushing” me if I am “stalling”, but she would never rush me when I’m attending to patients. I’m sure this is reality in most relationships. She is very friendly, so I do suggest having a chat with her whenever she is here. She will be happy to get to know you. “It would be nice if you had an osteopath and naturopath in the clinic too.” – Thank you for those suggestions. We are always open to adding services our patients need. We are currently considering adding a Naturopath to our team, but I am unsure of when this will happen. We pride ourselves with providing research informed therapies so only professions and practitioners who share our approach, concept, and vision will be considered. Some health and wellness professions are currently without proper scientific evidence, so until good quality research support those professions, we will not be adding them to our services. Once again – THANK YOU for all your responses to our survey. I hope my answers to your input make sense. Your inputs have shown us in what direction we need to focus our effort to grow and improve. It doesn’t end here, though; if you ever have any questions, comments, or concerns, please do not hesitate to let us know. We may not always agree or be able to accommodate everyone, but we will listen and try to find solutions. That is my promise to you always.